Oh Santa. I was so excited when we booked our private Santa photos a few months ago in hopes that we would have the most amazing Santa pictures like last year. Sadly, no. For weeks we’ve talked about Santa and how he says HO HO HO and Miss H was super excited to meet him. Until she was sick. 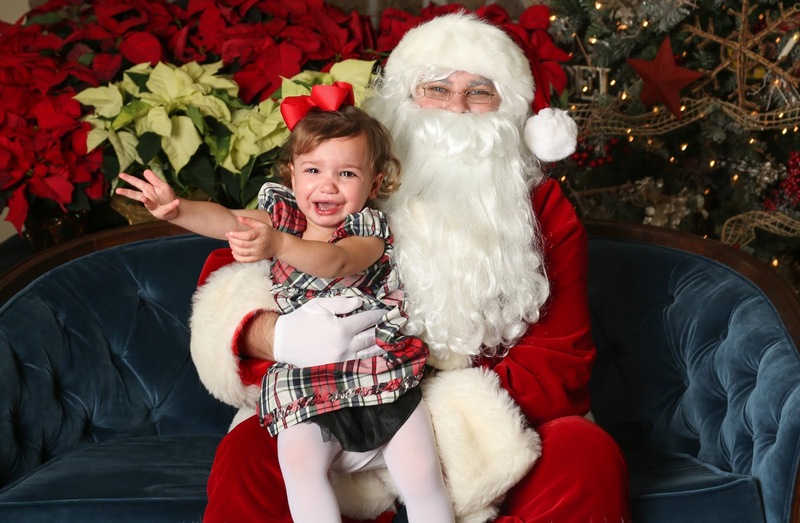 Sick babies and Santa don’t mix. For some reason, this time being sick really made her need me to be within 6 inches of her at all times. Not interested in even sitting on the couch by herself. No book, not even Mickey Mouse would calm this girl down. Let’s recap last year. Happy Baby. Christmas Plaid. Gorgeous. Hallmark Moment. Fast forward a year. Christmas Plaid. Sick Baby. So sad. I almost didn’t post these because the crying on Santa’s lap when you aren’t sick isn’t funny, but these are like sheer fear and that breaks my heart. She did look adorable in her dress though. I’m going to try again next week with another Santa at Von Maur. Maybe we’ll get a winner. We’ll see! LOVE her dress!!!! Poor baby! 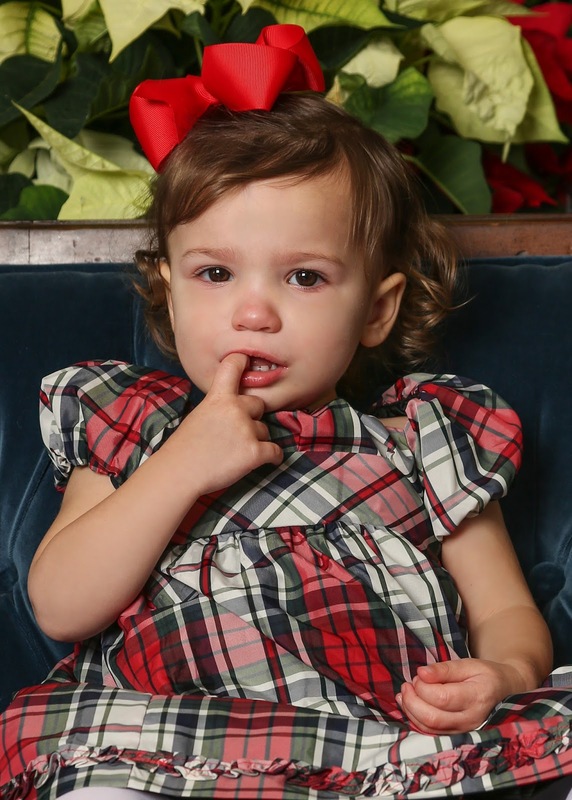 She does look darling in her Christmas plaid 🙂 It's crazy how much she's grown and how those curls have popped out in just a year. Hope round 2 goes great! !